A stylized pair of points does not stop these throwing knives from being any less effective or dangerous. 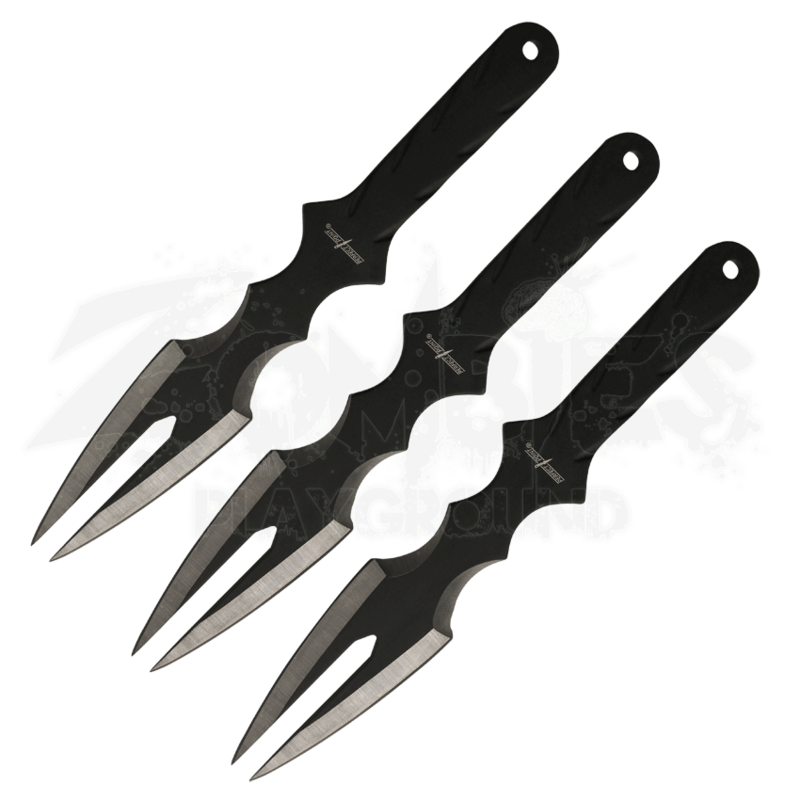 This Black Twin Point 3 Piece Throwing Knife Set consists of a trio of stylized throwing knives, complete with a black nylon sheath for easy storage. Each of these three knives are balanced for throwing, which means each one puts more weight into the tip that near the cross-guard. Each one also features a swelled, double-point blade with angular edges along its exterior side, ensuring that they possess remarkable penetrative power. Each knife is made from a single piece of black stainless steel, and each one measures approximately 9 inches long. 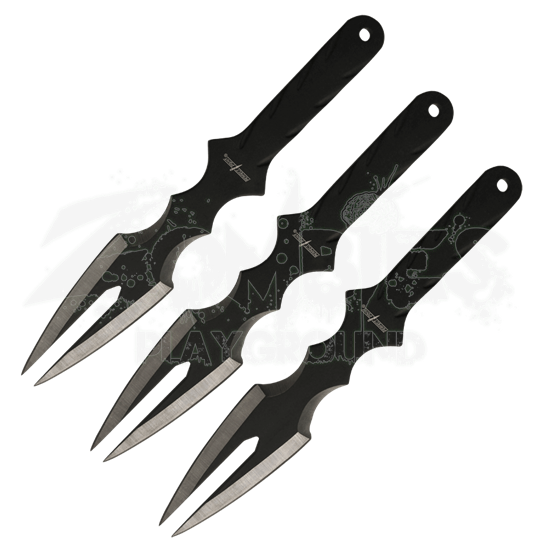 In a pinch, a skilled wielder can turn a throwing knife or three into a remarkable self-defense weapon, both against the living or the dead, and in practice, this Black Twin Point 3 Piece Throwing Knife Set will serve well as a fun distraction and a great way to hone your precision-throwing skills.